"Offers came in at $2 million, somebody offered $5 million yesterday," RZA told Billboard. "I've been getting a lot of emails — some from people I know, some from people I don't know, and they're also emailing other members of my organization." That $5 million bid is the biggest offer so far, and RZA added that he's received a lot of positive feedback for the idea. "I don't know how to measure it, but it gives us an idea that what we're doing is being understood by some. And there are some good peers of mine also, who are very high-ranking in the film business and the music business, sending me a lot of good will. It's been real positive." 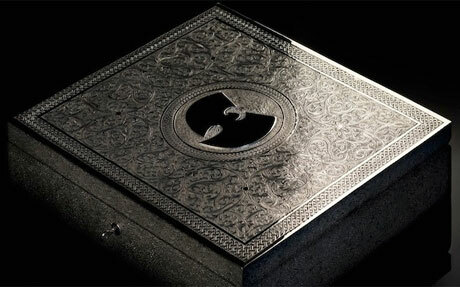 As previously reported, the 31-track album is being housed in a lavish nickel-silver box, and the group are describing it as a piece of contemporary art. The band have started a website for the album in which they note that "the pride and joy of sharing music with the masses is sacrificed for the benefit of reviving music as a valuable art and inspiring debate about its future among musicians, fans and the industry that drives it." The album will apparently tour to music festivals and museums before being sold. Meanwhile, Wu-Tang Clan also have a new album on the way called A Better Tomorrow, which will be available to public if it ever sees the light of day.